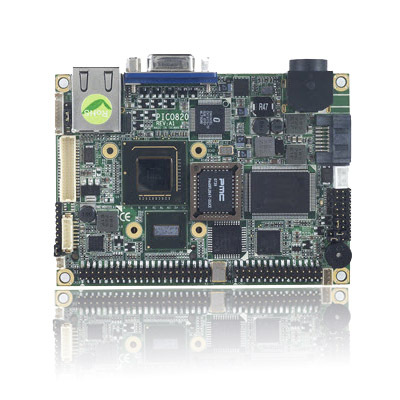 The PICO820 supports ultra low power Intel Atom Z510 1.1GHz and Z530 1.6GHz processors at 400/533MHz FSB with the Intel System Controller Hub (SCH) US15W, a low power chipset in one small 22x22 mm package. 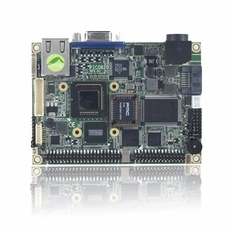 The integrated Intel Graphics Media Accelerator 500 (Intel GMA 500) offers advanced graphics and 3D performance. Moreover, the Intel Atom processor Z500 series supports SSE3 that improves performance on multimedia and gaming applications, as well as, Hyper-Threading technology, Intel Virtualization Technology and Low TDP.